Wild Heart Mustangs™ had the opportunity to attend our first Extreme Mustang Makeover – this one in Fort Worth, TX. We attended Friday and Saturday, September 16-17, in the vendor area to introduce the e-zine to more people across the country. Saturday night we attended the amazing finals and saw wonderful performances by both horses and their riders. I can’t wait until January 2017 to go to the Mustang Magic to see the progress with the three strike mares that I saw while at Fort Worth before they were picked up by their trainers. So much talent, such willing horses. In trying to educate people on how trainable and versatile these horses are, I am shouting off the rooftops about this event. In an effort to educate myself more, and our readers, about donkey/burros I am attending the Fourth Annual Donkey Welfare Symposium at Cornell College of Veterinary Medicine, which is being held in conjunction with the NYS Veterinary Medical Society, Animal Health Diagnostic Center and Cornell College of Veterinary Medicine. More to come in future issues on how unique and special donkeys are and what they can accomplish with their human partners. 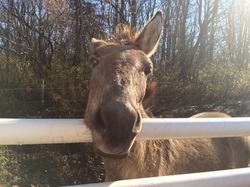 It has been an overwhelming confirmation of what I have suspected all along, that even our equine professionals- such as our veterinarians, farriers, etc., are not being taught specifically about the needs of donkeys and are classifying their care and well being with that of horses – which is not the same at all. Kudos for the Donkey Welfare Symposium and the Donkey Sanctuary in the UK and Canada for the research they do and the education they provide for people to learn and understand these animals all around the globe. 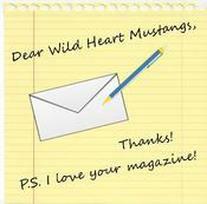 In the formation of Wild Heart Mustangs™ the focus has always been to promote awareness, education and respect for wild mustangs, donkeys and mules. We will continue to seek out professionals to provide our readers with solid, smart information and stories regarding all of these, to further understand and appreciate these often misunderstood animals. 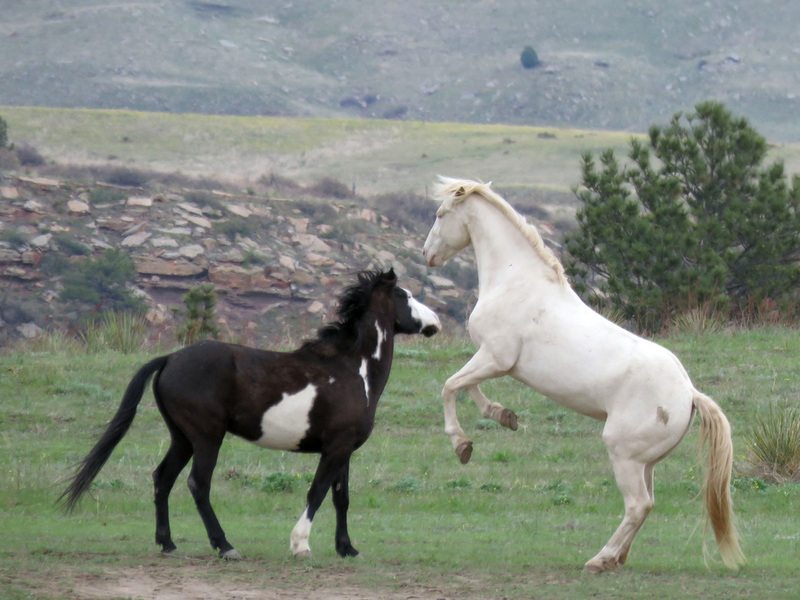 In this month’s October Issue of Wild Heart Mustangs™ a big thank you to Julie Goodnight for sharing a wonderful article on trust with our equines. BraveHearts Therapeutic Riding enlightens us to the work they do with mustangs that heal our veterans’ souls. Krissy Matterson shares her personal story of her BLM mustang, River, who had a calling to be a therapy horse. Donnette Hicks introduces the Impact of the Horse – Two Worlds One Event, a unique competition between domestic and wild horses, as well as a competition based on the willingness of horse and rider to work together as a team. We peek in on Samantha Szesciorka and the Nevada Discovery Ride, with over 500 miles already ridden across Nevada. L’il Buckaroos is all about donkeys this month, showing how donkeys compare to horses, but are uniquely different. Lastly, a recap of our vacation and experiences across the great state of Texas. It was a refreshing and humbling visit that left our bellies filled with delicious southern food, and our hearts and souls closer to God and country. It was a true pleasure to meet Madison Shambaugh, in person. I have the utmost respect for her as not only a trainer, but as a humble, caring human being who truly has the plight of the wild mustangs at heart. Thank you Madison for all you do for the mustangs, the people who adopt them, and the entirety of the mustangs and burros still in holding facilities. You have vision, which many others do not. I have seen the remarks of the skeptics, the nay-sayers who say what you accomplish with your horses cannot possibly be done. The narrow minded few who cannot comprehend making the impossible, possible. 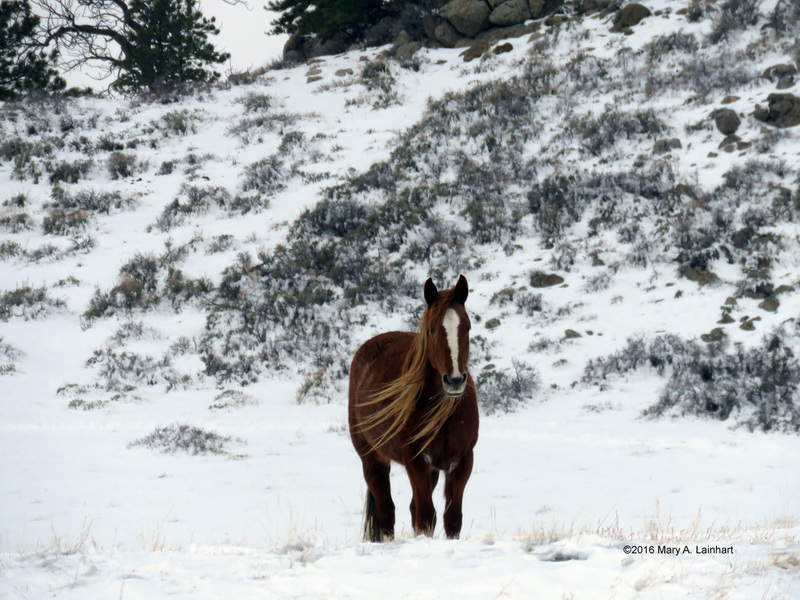 Stay true to yourself, and the task at hand, of making the public see these wild horses for what they truly are and can be….magnificent, willing partners of their free will. 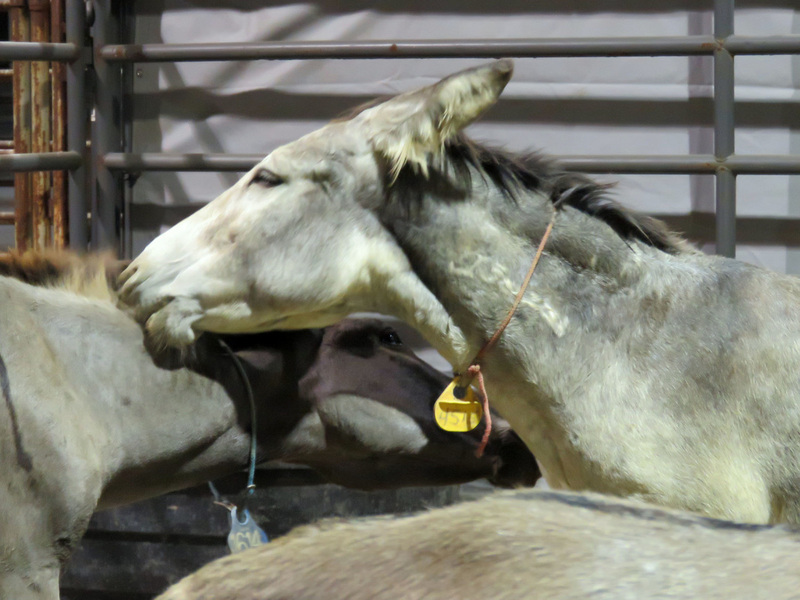 ​To every single trainer, adult and youth, who has participated in any mustang or wild burro gentling and competition, thank you. 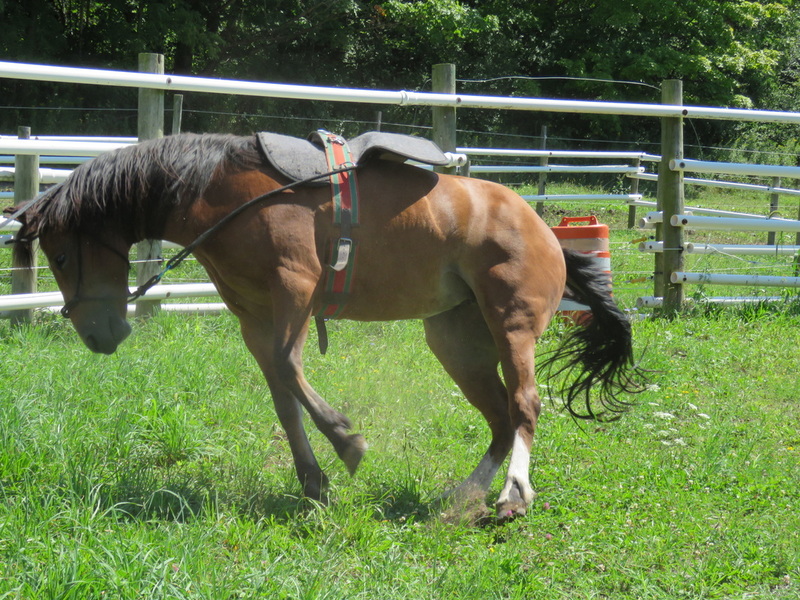 Thank you for taking the chance to challenge yourself, to be amazed at these animals and to become a spokesperson for their intelligence, versatility and usefulness in any equine discipline. Thank you to every person who has adopted a wild horse or burro, with the understanding it would take time, commitment and kindness to create a willing partner. In our personal experience with Angel, the person has been transformed just as much, if not more than, the wild horse. It is a bond that cannot be explained, but is understood by all who have had the encounter. Most of all, thank you to the wild horses and burros that have shaped our country into what it is today. Their sacrifice, hard work, perseverance and freedom which has made them a living legend of our country and a symbol of America and it’s people. Gratitude to the wild horses and burros, everywhere, in our country - roaming on range land, in holding facilities, in sanctuaries or in our backyards.